It’s never been tougher financially for families. The recent recession has meant many of us have had to cut back on our spending where we can and often that can lead to questions about whether to give your children pocket money. Is it an important part of growing up, or an additional cost you could do without? In a culture where instant gratification has taken over saving up for something worthwhile, pocket money is still a good way to teach your children about the value of money from an early age. But while there are benefits to giving your child pocket money, like helping them become independent and learn responsibility, there’s no doubt that it raises a few issues. When should you start to give pocket money? What’s the ideal age? Should it be earned? Why should you give it and how much? Ultimately the decision on how much to give is yours. Every household has a different budget and there will always be another child who is getting more than yours. According to a survey into pocket money by the Halifax bank in 2009, children’s pocket money has risen by 419 percent since the mid ’80s, with children getting an average of £6.13 per week. Generally people consider no more than £5 a week for children under 10 years old and £10 for teenagers a reasonable amount. But every household has different family values, practices and finances. 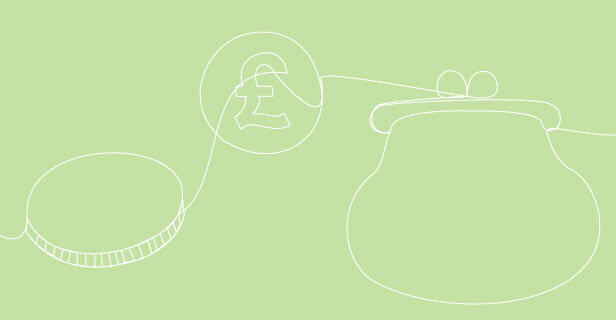 To help tackle some of the pocket money problems, we’ve devised a few tips. Consistency is key. If you’ve decided to give pocket money as a reward for doing a few jobs around the house then make sure you’re consistent – letting them off their jobs will give off mixed messages. Weekly woes. Pocket money doesn’t need to be given weekly. Make it a monthly treat – maybe the first weekend of the month. It will give them something to aim for all month. Be clear. You also need to consider what you expect your child to cover with their pocket money. For very young children it might just be small toys or magazines you aren’t prepared to pay out for. For older children or teenagers it might be clothes, cinema tickets or trips to the hairdresser. Deep decisions. Try not to interfere in what they decide to spend their pocket money on. If they decide to save up for something, that’s great, but it’s also their choice to fritter it away as they like. Allow them to make some mistakes as it will help them learn. Sassy saving. If they’ve been saving up for something specific, make sure you congratulate them when they reach their savings target. They will enjoy experiencing a real sense of achievement. Try and encourage your child to save part of their pocket money each week. Strike a balance. Don’t override your own rules. Don’t buy your children things they’re supposed to pay for themselves if they run out of money. They need to learn how to balance out their needs and their wants by themselves. Diva demands. If your children demand more pocket money don’t just give it to them. Ask them to explain why and how they plan to spend it – then you’ll know if they need more or if they just want more. Have you got a top pocket money tip? We’d love to hear them. Good tips good advice, i give my daughter of 15 years ten pound a fortnight.